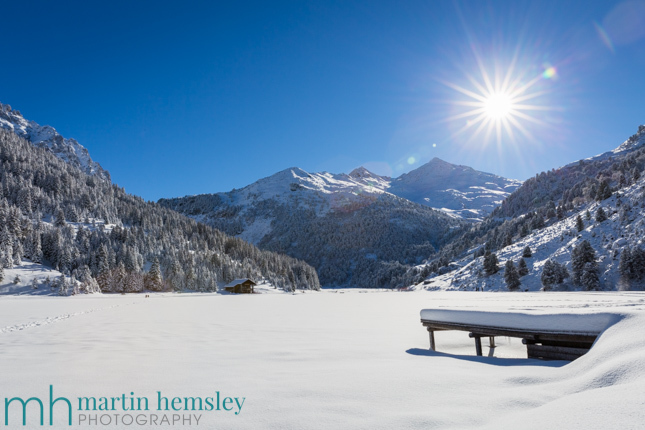 Just over a week ago I published a blog post that proved really popular, titled 'Take Great Photos On A Ski Holiday', click here for the link. It was an article jam packed with advice. However deep down I thought it was incomplete, even though it was such a long post. 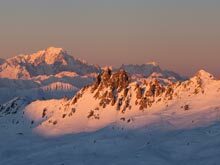 So again, I've put ski instructing topics aside, and will dive straight back into giving some tips that I hope will help you take better pics during your next ski holiday. It's very easy photographically to get distracted by big mountain scenes, groups of happy skiers, and people acting the fool during apres ski. Indeed all of these things really add to the memories of a fun ski trip. However, in the interest of adding to your portfolio, why not think a little deeper and look closer in than you normally would. 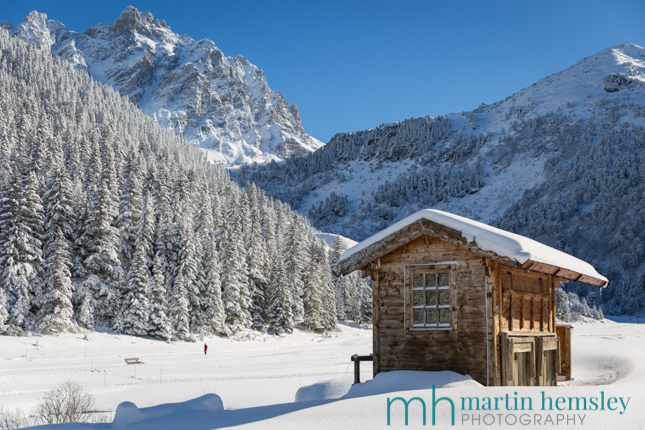 Some examples could be a letter box of the chalet, a pile of logs with snow settled on top, some wildlife footprints at the side of a piste..... anything that can give added depth to your collection of alpine photos. Being one of the first to ski down a piste, you will find one of the most common skiing patterns each day on the mountain will be piste basher tracks. Granted, you might have to be on one of the first lifts in the morning to observe clean tracks, but they will be there. Oh, and being one of the first skiing down a piste is an absolute pleasure. 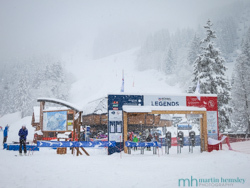 A double whammy if you like, a cool photo that perhaps your mates won't take, and first tracks down your favourite piste. For me, this is a tried and tested method that I use a lot both in the mountains, and with my wedding photography in the summer months. 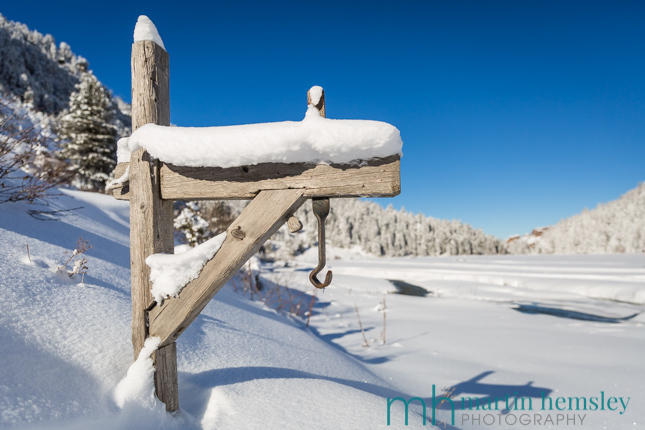 In fact I will use this just as much as the 'Rule of thirds' composition skill mentioned in the previous blog post. 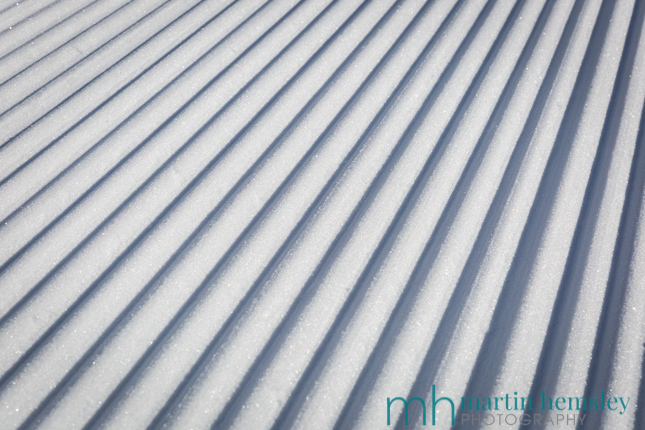 This method is also closely related to another compositional skill called 'leading lines'. It's a beautifully simple rule that any type of camera will be able to capture, whether a smartphone, a compact or a DSLR. 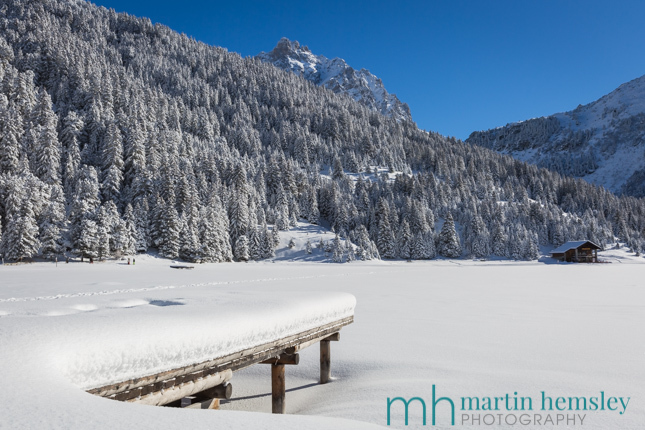 Let's look at the image below taken a few days ago at Lac de Tueda above Méribel-Mottaret. Notice how the jetty has been placed in the corner of the image at an angle. This helps lead the line of the viewer into the middle of the photo across the frozen lake and the mountains. This method of shooting with angles can help give depth to an image, instead of a one dimensional feel. I'm almost getting too theoretical here, so let's look at another image taken about 200 metres away from this scene. 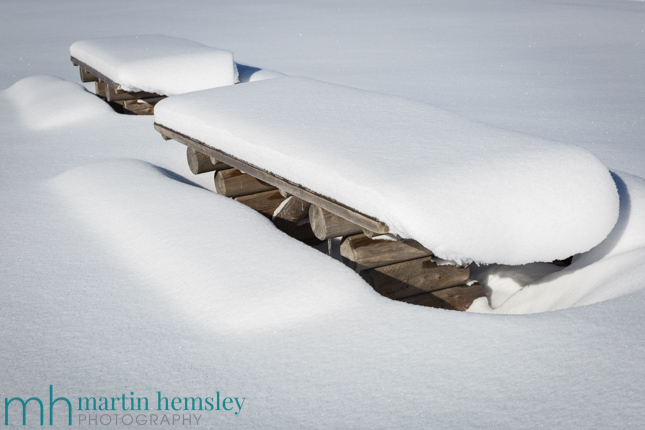 These snow-covered picnic benches and tables have also been positioned at an angle, which gives you another example of how you can give your photos some extra zip. This is where if your main camera is a smartphone, or a compact camera, it will be a challenge to achieve this effect other than relying on software just like photoshop. If you use a DSLR camera, this is simple to do. Set your shooting mode to aperture priority, and select a high aperture - anything between f16 to f22 should do it. This end of the aperture scale will create a star burst effect in camera, just like below. Needless to say, please be very careful when shooting towards the sun. Note that the front element of the lens, ie the external lens element, needs to be clean. If it is dirty or dusty then it can give a complicated and mucky effect. It's not to everyone's taste, but it can give an extra punch to a nice photo. Notice how 'rule of thirds', angles, and leading lines have also been used here. Ok, final top tip now before I get way too carried away. The good news is that this is dead easy, and can be done simply and quickly with the right smartphone. 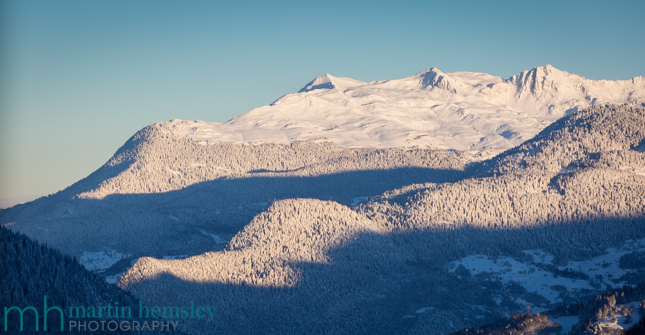 If shooting a large scene of mountains, you can crop the image to the shape of a letter box. This gets rid of dead space, ie an un-interesting sky, and helps squash the image impressively. Sometimes you might see on social media an image that might be ok, other than too much sky. Next time you head out grab your smartphone, compose an image of the mountains, and then squash it with a quick cheeky crop by getting rid of the sky. Job done. I really hope you've enjoyed reading this post, and hope that you've found some motivation to go out there and have fun with your camera in the mountains. 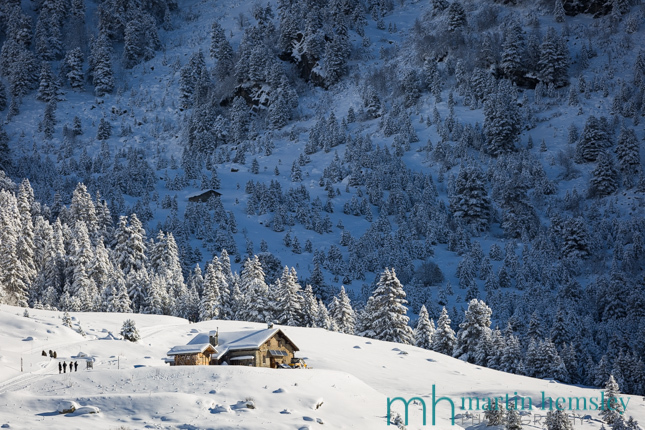 Feel free to go across to one of my Facebook pages, called 'Humans Of Méribel' for more images, and meet some of the people I'm priviliged to meet and ski with whilst ski instructing. Click here for the link. Right, promise I'll stop ranting on about photography on this blog page for a while. 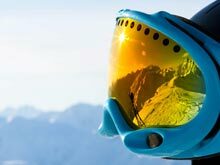 Do come back soon for another article that's brewing already... it will be about ski performance at different ages and how we evolve as skiers as we get older!?! Live With Passion. Martin.